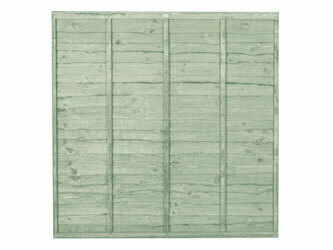 Lapped-panel fencing is the most common form used in the UK. Constructed with five vertical battens on the front and five vertical battens on the back, Premier Sheds' Superlap is amongst the most robust on the market. The top edge of the panel is fitted with capping.